Can't believe xmas is in 1 month!!! doesn't really feel that it has been the whole year! End of the year is surely one of the most hectic time for many people - well not much for me as I am not working :) For me I prepare the gifts early and most of the time finish up the bits and pieces by purchasing online. Just been selling some macarons to colleagues of brother-in-law. this is the second week and I am making the 3rd and 4th batch. God knows what was wrong in my first and second batch last week - everything was cracked, flat or no feet - feel like that particular day I was having a macaron curse. I finally gave up and tried the day after and it went well... i think there's certainly a macaron curse day!! 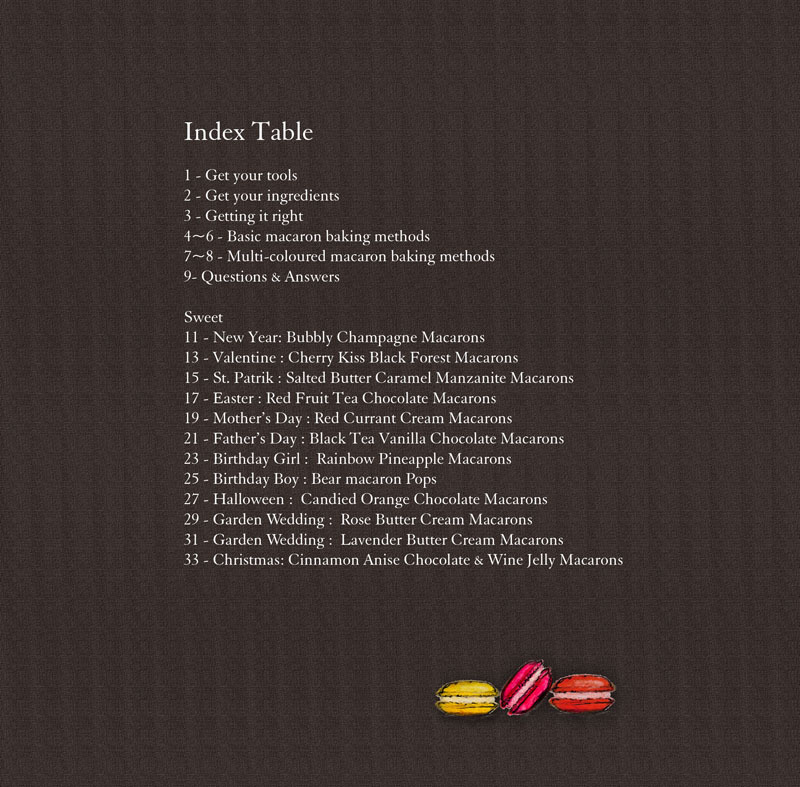 Up for this last MacTweet entry for the year, I might have more entry coming soon as I am baking up for xmas order. 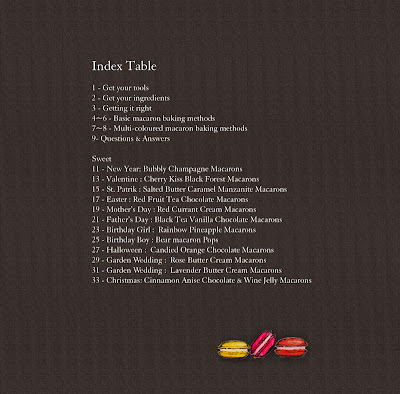 This is a recipe which is in my new book : Macaron Fetish - C'est la Fête (It's Party Time). 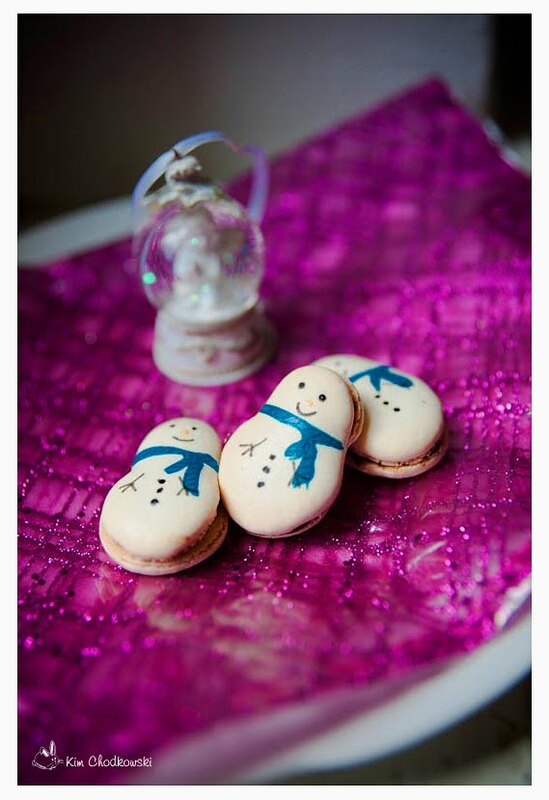 It's actually a macaron fetish based on special occasions and holiday theme. I am including some pages for a sneak peak at the end of the post. 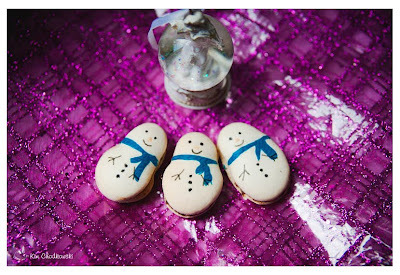 Mean while I hope you like my Snowman Xmas Macaron! 1. In a blender, mix up the almond powder, icing sugar,and white food colouring, sieve it and set aside. 2.Beat the egg white until frothy, add in half of the castor sugar, keep beating till you get a soft peak and then add in the rest of the sugar. Beat to stiff peak. 3. Add the blended dry ingredients to the stiff egg white. 4. Keep folding until you get a mixture that flow slowly like lava. This should take about 50 folds. The mixture should be uniformed, shiny and when lifted it should flow down and form a thick ribbon. Scoop out 2 tablespoons of the mixture in an extra bowl, add in blue colouring, mix well and set aside. 5. Put a piece of baking sheet over a baking tray, pipe a small circle about 2 cm, a the bottom of the small circle, pipe another circle of 3-4cm. Repeat until all mixture is used up. Using a fine stick ( I used chopstick ) dip in the blue mixture prepared earlier, then drag over between 2 circles to make the scarf. 6. Let the macaron sit until a skin is formed and it's no longer stick to the fingers when touched. Depending on your room temperature, and air humidity this should takes somewhere between 30 minutes to 1 hour. 7. Pre-heat the oven on 150 C with top heating. 8. When the oven is heated up, put in the piped macarons. Increase to 160 C and continue baking for about 4-5 minutes, be sure to work with your oven and you might need a few test to know how much your oven heats up. The feet should already be forming after 4-5mins. Decrease the temperature to 150C, open the oven door quickly to allow hot air to escape. bake for another 6-8 minutes until the shells are baked. 9. To know if your macarons are baked, you could try it by gently touching the shells, when it's baked it should no longer slide against the feet. 10. If the macaron shells are not well baked, extend the baking time by 1 minutes and recheck. 11. Let macaron cooled before removing them from the baking sheet. You could speed up the process by lightly wetting your working area with a sponge and drag the baking sheets over. 12. Match up all the similar size shells, draw the hands, nose and eyes. Get the ready for filling. 1. Mix red wine and agar agar in a small pot, bring to boil for 3 minutes. 2. Pour over a flat plate, let cool before putting it in the fridge. 3. Place dark chocolate in a big heat proof bowl. Place the bowl over a smaller pot with boiling water to melt the chocolate (water bath). 4. In another pot, boil up the cream with cinnamon and anise powder. Remove from heat and infuse for 10 minutes. 5. Rewarm the mixture and pour over chocolate . Incorporated the mixture together, let the ganache cool down then put it in the fridge. 6. Cut the jelly into small square, fill up one macaron shell with chocolate ganache, top up with the jelly, and put a pea size chocolate ganache on the jelly, close it up with another shell. These tiny macs are so artsy! What a great idea and what a heavy work to colour them. I wish I could have one on my plate. I know that macaron curse well...batch after batch. 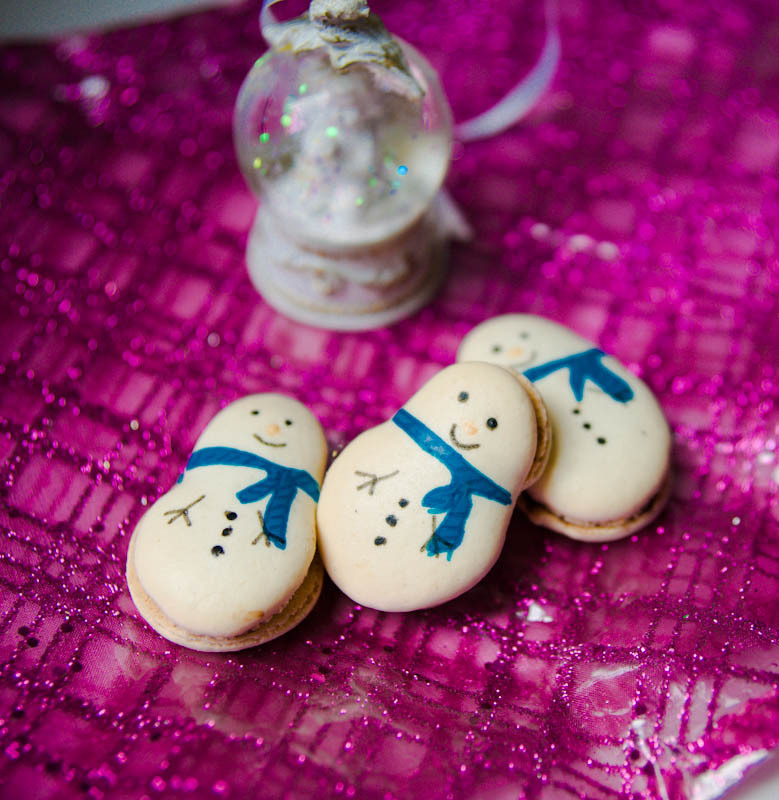 These snowmen macarons are positively brilliant! Cuteness abounds. Hi there! Just wanted to say that I really love your blog! 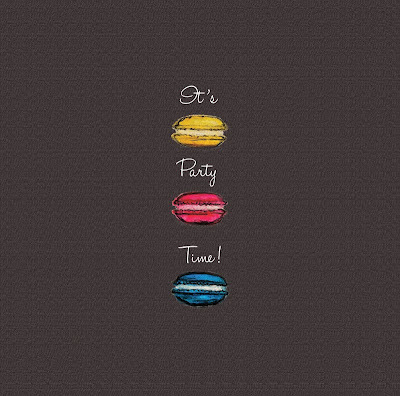 (because I love MACARONS!!!). These macarons look so cute ^_^ I've recently found out that you can shape macarons too and I love decorating them (when I have the time). These snowmen are wonderful cuties. 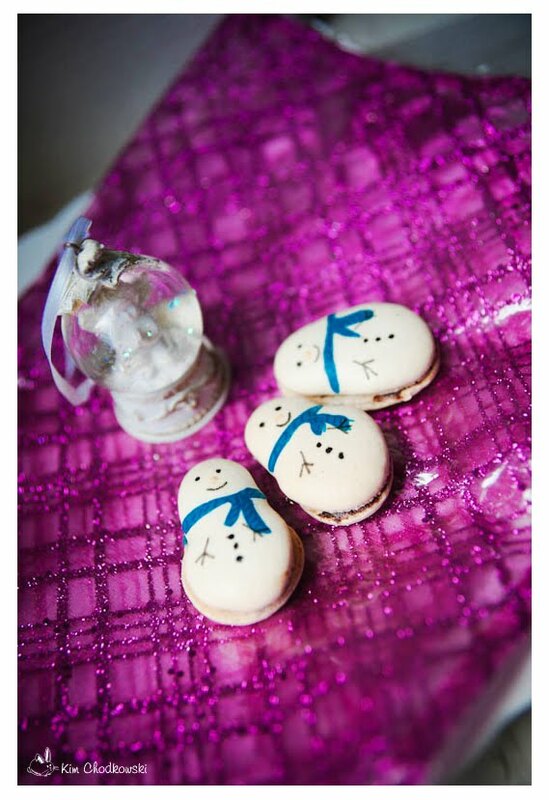 Not fair that a macaron curse can happen at the time if you're selling them. Ce n'est pas juste! Delicious filling, too. 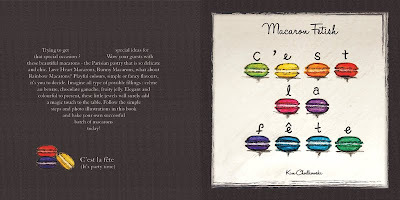 Good luck on your book venture - great idea for macarons for special occasions! I don't think macarons can be more fun, and perfect-er than these! Screaming gorgeous Kim!! WOW!! 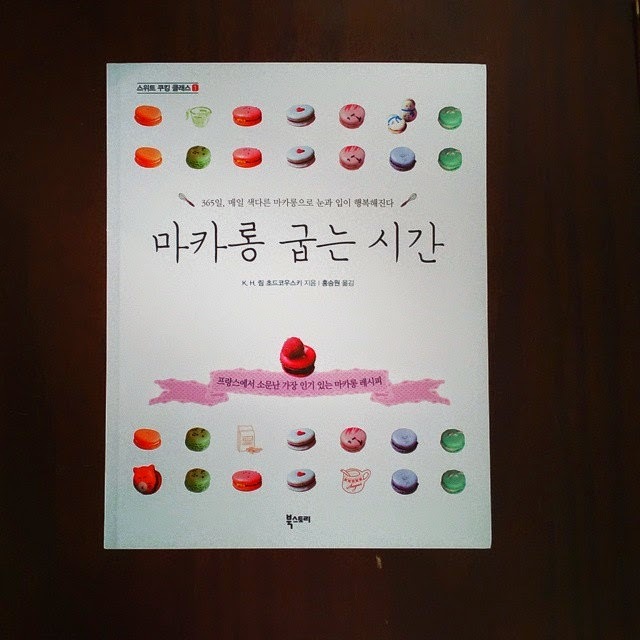 Congrats on your book. That sneak peek is looking fab! omg these are soooo cute! Absolutely adorable! And so beautifully white! 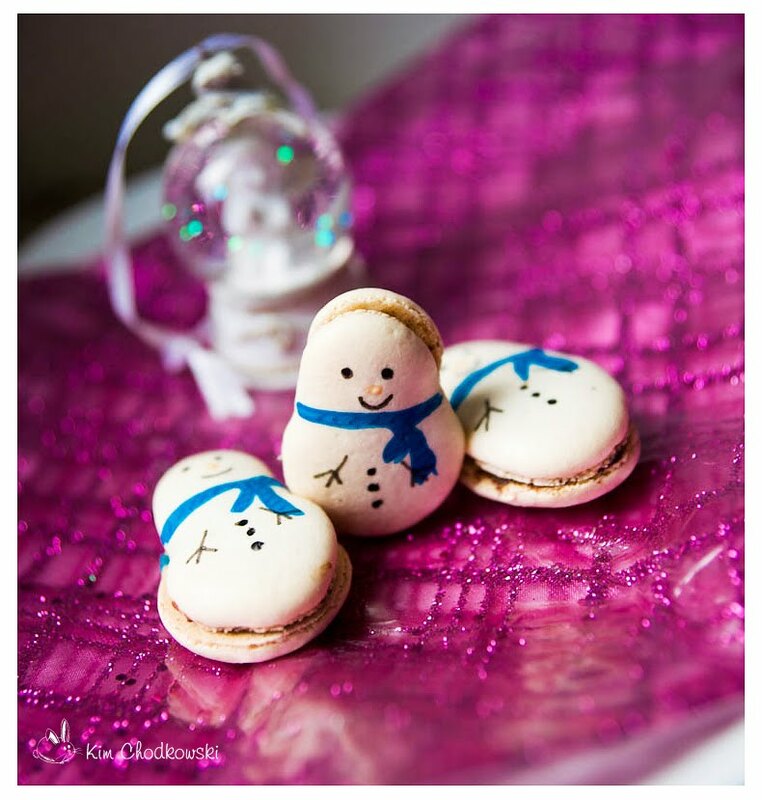 Hi Kim, these snowmen are so adorable! You are so creative. Keep it up!